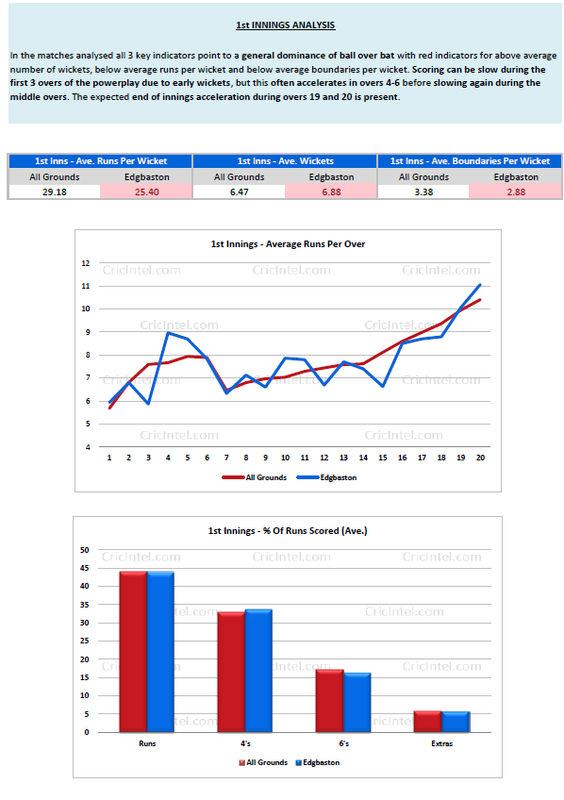 "Without much experience of T20 betting I was able to find edges fairly easily using the stats. I'm very much looking forward to being able to use similar reports to make some money in the future." "By knowing the ground averages and being able to judge how well a team are doing compared to the par score, it's then easier to predict where the value is in the market and in which direction the market is likely to go." "The report helped both in side markets and with in-running strategy." "There's a lot of data you've crunched down into manageable chunks." "Think the report is very useful and can see it as part of my pre match routine supplementing my own research. Like the size of it. Enough detail to be useful but not overkill or an essay to read." "It's a useful start to any research I do and would be a quick substitute if I didn't have the time." "I would say the chase data and innings score data helped me be more confident in a larger than usual lay." 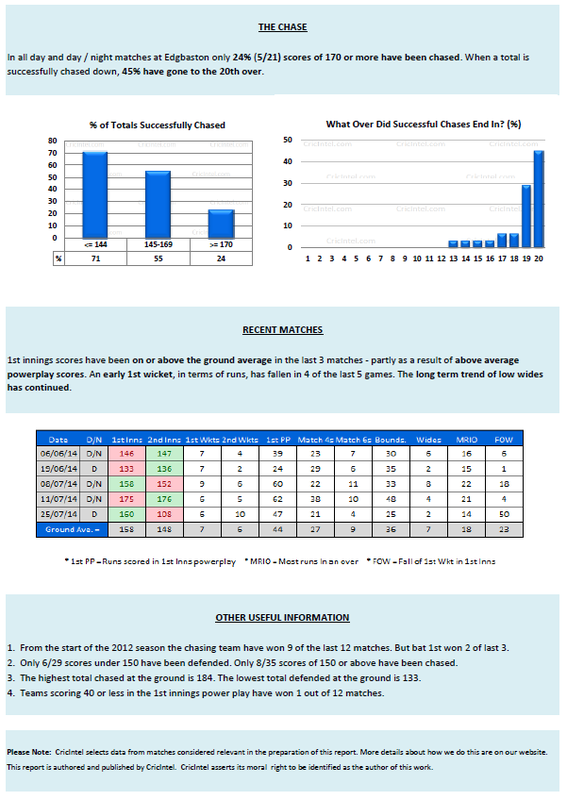 "I would find the data on scores chased and defended very useful when betting in play." "Without much experience of T20 betting I was able to find edges fairly easily using the stats. I'm very much looking forward to being able to use similar reports to make some money in future." "The report would save time researching which would then result in time being able to be put into other sports / projects. As you know one of the hardest parts of this job is managing time." "Knowledge of ground conditions can only be useful." 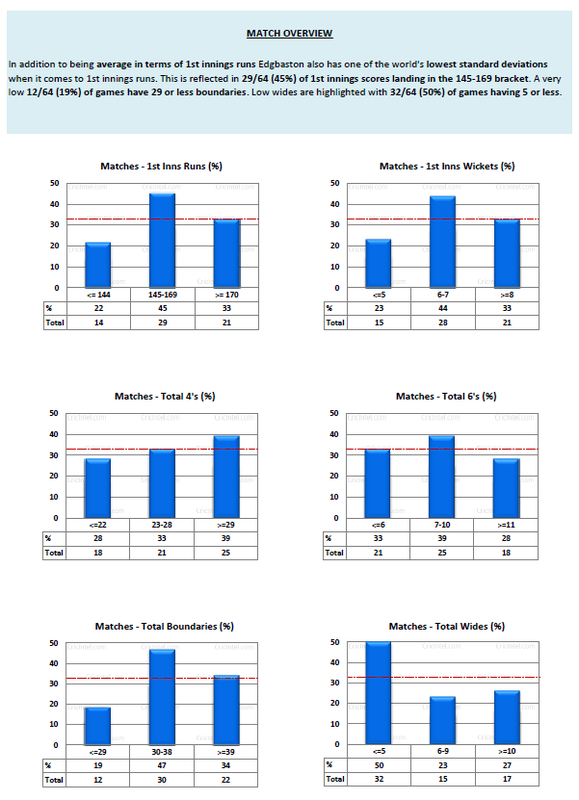 "The report helped in the boundaries / 6's markets for fixed odds. In play to form an opinion of how the game would develop with stats showing what has been or has not been achieved at the ground before." "The other useful information section will be key to making an educated punt." "Would be more useful for me for side markets but a good guide on how previous chases / scoring has gone / going." "Useful to get an idea of how the market will react in certain situations." "Very interesting idea as there does not seem to be much help with learning to trade cricket in comparison to all the info on football, racing and tennis." "The report would be valuable pre match and potentially save me time on the side markets pre match." "I am part of a trading group of around 50 like minded people of varying levels and I'm sure they would be interested in this kind of material." "Not a big cricket trader but I like all aspects of the report." 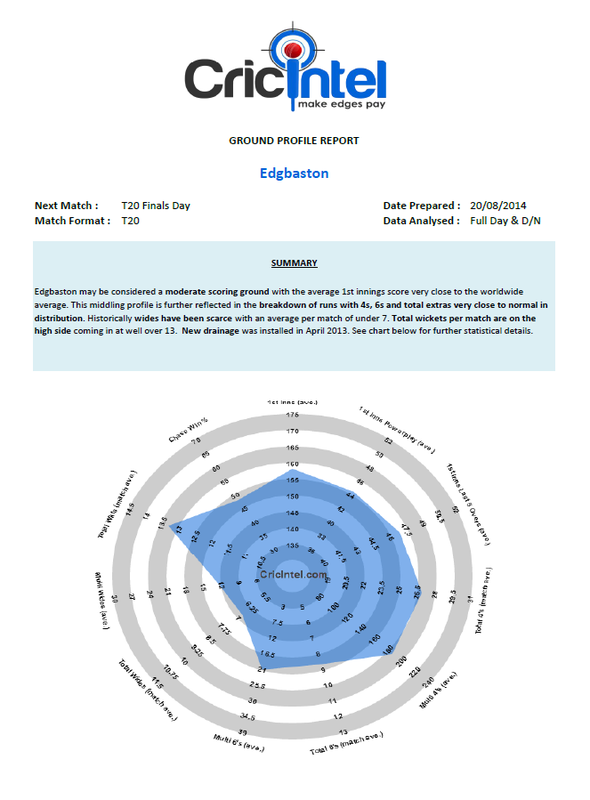 * Before the 2014 English T20 Blast Finals Day at Edgbaston we gave away a free ground report for the venue to every single person signed up to our newsletter. The report had a survey attached to it. The feedback above comes from the survey responses.